I didn’t want to write this review. I really didn’t. I saw the first Transformers movie and thought it was a decent enough summer popcorn flick, but then I endured Transformers: Revenge of the Fallen, and with the terrible acting and the execrable screenplay and the awful direction and the interchangeable fighting robots and the mind-numbing score, I vowed never to suffer through another Transformers-related experience, cinematically or musically. 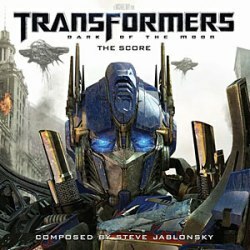 Transformers: Dark of the Moon, however, is one of the biggest box office successes of 2011, and contains one of the best-selling scores of the year, and as such it’s difficult to ignore it completely. 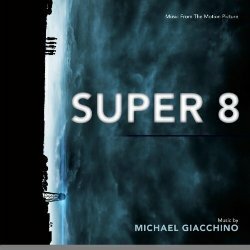 Super 8 is director J.J. Abrams’ sentimental homage to Steven Spielberg. One part monster movie, one part children’s fantasy, it takes inspiration from films such as E.T. and The Goonies in that it looks at a terrible event from an adult perspective, but filters it through children’s eyes, so that the simple and uncomplicated central truths of that event shine through, especially the ones which the adults cannot see. It’s also a loving tribute to a childhood obsessed with movies, sitting in darkened theaters, munching popcorn, dreaming of making movies one day yourself. Abrams did this, Spielberg did this, and Michael Giacchino did this too. Growing up as I did in the UK, the comic book adventures of Captain America didn’t mean very much to me. I was aware of the character, of course, and vaguely remember seeing the 1990 film starring Matt Salinger, but beyond that my knowledge of the comics, and the hoopla surrounding him was nonexistent. It turns out that he’s actually something of an icon; since his first appearance in print in 1941 – when he was depicted landing a right slug on Hitler’s jaw – he has grown to become a true all-American hero beloved by millions, with a large fan base that endures to this day. This suspense film directed by Francis Girod is based on Françoise Giroud’s novel, which explores the tale of a the French president (Jean-Louis Trintignant) who is informed after several years of the existence of a illegitimate son born from an extramarital affair with his former mistress Claire (Catherine Deneuve). To conceal the damaging news he conspires to use the secret service to cover up any kind of proof likely to tarnish his reputation.